The social and economic costs of excluding a generation of Australians from home ownership will have a lasting and detrimental impact on Australia's future. Report after report demonstrates the decline in housing affordability across the country, so much so that some in the housing sector are calling the situation 'a national tragedy' and a 'social catastrophe'. The Turnbull Government must respond to the issue of declining housing affordability, show some national leadership and work with the states and territories to level the playing field so that first home buyers and those on moderate incomes do not become permanently locked out from the great Australian dream of home ownership. 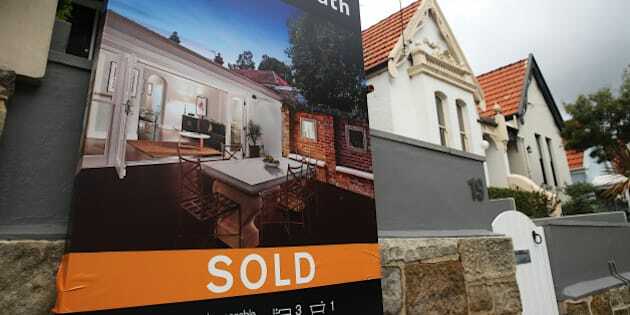 The Australian Population Research Institute's report No End in Sight has called for an urgent re-thinking of tax settings to address the 'social catastrophe' of the current housing market with record housing prices. And last week the Adelaide Bank/REIA Housing Affordability Report for the December quarter 2015 shows that housing affordability in Australia has declined to its worst level in three years, prompting the bank's general manager Damien Percy to label the issue a 'national tragedy'. The report also shows that proportion of income required to service a loan is now at 32.4 percent, the worst it's been since 2012. The standard definition of affordability is when total housing costs do not exceed 30 percent of a household's annual income, but in NSW that figure is now 39.4 percent and in Victoria it's 34.6 percent. This is the environment that first home buyers -- young people, those on moderate incomes and people who want to move out of the rental market -- are having to compete in. It should be no surprise then that first home buyers now make up just 15 percent of the owner-occupier market, which is much lower than the long-run average of 19.7 percent. These statistics tell the story of first home buyers being increasingly locked out of the housing market with unaffordable homes and unaffordable loans despite the low interest rate environment, and it should be setting off alarm bells across the federal government. Unfortunately, Prime Minister Turnbull and the three Ministers responsible for housing since 2013 have done nothing to address housing affordability. Labor has released its plan to make housing more affordable by limiting the benefits of negative gearing to new properties after July 1, 2017 and reducing the capital gains tax discount from 50 percent to 25 percent. This plan is designed to level the playing field for first home buyers, encourage new housing supply, support job creation and ensure that when it comes to buying your first house you don't have to compete against property speculators. The social and economic costs of excluding a generation of Australians from home ownership will have a lasting and detrimental impact on Australia's future, which is why dealing with declining housing affordability and reducing the number of people living in housing stress should be a priority of any federal government.